When something doesn't go the way we expected or planned we say it "went down the drain." We say it because we feel that what we were doing was wasted or lost. 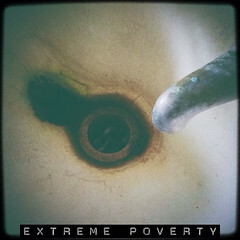 But when you are living in extreme poverty, you live in a drain; it's as if you are in the drain and everything you are doing is fighting against the flow. $1 challenge. More than 1 billion people live on less than $1 a day and more than 2 billion live on less than $2 a day. Check your assumptions. Americans believe that their government spends 24 percent of the federal budget on aid to poor countries, but the actual figure is less than 1 percent. Daily disasters. HIV/AIDS, tuberculosis, and malaria—all treatable diseases—claim the lives of over 8,000 people every day in Africa due to lack of access to health care. The water walk. Women in developing countries travel an average of almost four miles each day to collect water. The poor pay more. People living in the poorest slums can pay as much as ten times more for water than those in high-income areas of their own cities. Gender disparity. According to the U.N., the majority of people in poverty are women, who globally earn roughly half as much as men. Daily bread. Food prices have risen 83 percent since 2005, disproportionately affecting those in poverty who spend a higher percentage of their income on food. No school for you. In 2005, a conservative estimate stated that 72 million children around the world of elementary school age were not enrolled in school. The global wealth gap. The richest 20 percent of the world's population receives 75 percent of the world's income, while the poorest 40 percent receive only 5 percent of the world's income.